Becoming a mother is a very special journey. to reconnect to their innate life-giving powers and intuitive wisdom. and yoga is a powerful and effective tool to adapt to these changes. and it reinforces their connection with their growing baby. Classes are suitable to women who used to practice regular yoga classes as well as complete beginners. 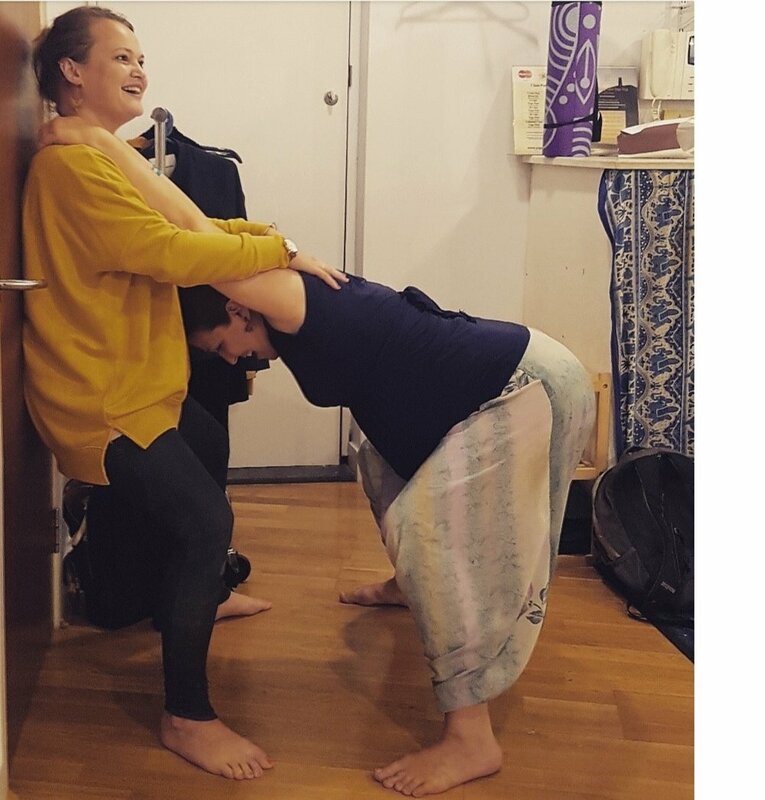 becoming familiar with pain-relieving breathing techniques and physical positions for an active birth. It is also a great way to include the birth partner into labour as many poses can be done in pairs to go through all the stages with more support. Increased energy and immunity, yoga improves a general level of good health for the expectant mother which also benefits the unborn baby. such as sciatica, heartburn, tiredness, pelvic girdle pain and many others. helping the body to gradually adapt to the growing foetus and prepare the body and pelvis for birth. meeting other pregnant women provides a great sense of support throughout this important stage of a woman’s life and even allows to create supportive friendships when baby is here. Being pregnant is a powerful thing that can also make you feel vulnerable. Yoga is empowering both body and mind and will help fighting stress, anxiety or even prenatal depression. with the use of props whenever applicable, relaxation and/or guided meditation. Yoga birth preparation sessions are a wonderful and powerful way to prepare both the body and the mind to birth and labour. of labour, it is also an inclusive way for the birth partner to be active and supportive throughout labour and birth. who can play a key and supportive role throughout all stages. No matter the scenario, active and natural birth, planned c-section, or unforeseen complications, yoga will be the best tool and companion to empower the mum-to-be to welcome her baby into the world.